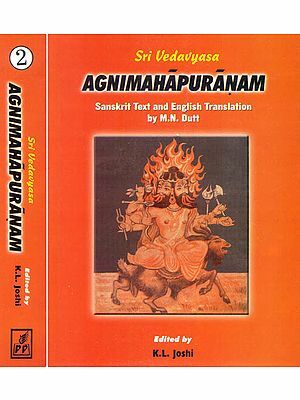 salagrama silayantu, saksat sri krsna sevanam, nityam sannihitastatra, vasudevo jagadguruh. 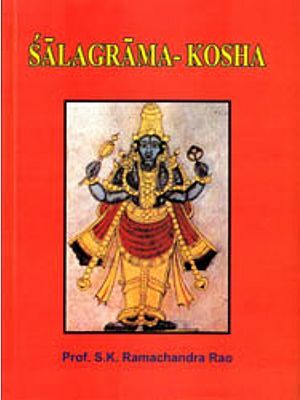 When the salagrama-sila is worshiped, it should be understood that Lord Sri Krsna is being directly worshiped. 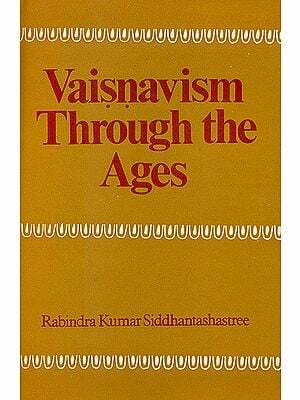 Vasudeva, the original spiritual master of the universe, eternally resides in the salagrama-sila. Simply by touching the salagrama-sila, all one’s sinful reactions accumulated since millions of lifetimes are destroyed. What then can be said of those who worship the salagrama-sila? 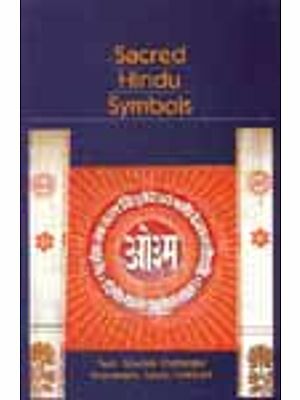 They certainly attain Lord Hari’s association. 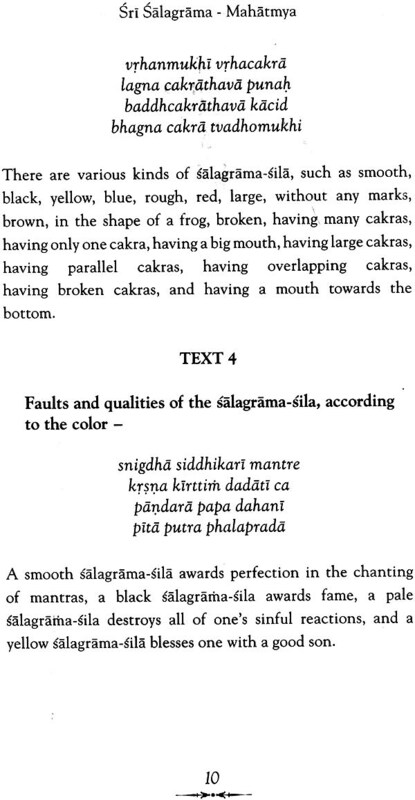 The glories of salagrama-sila are well known among vaisnavas and brahmanas. 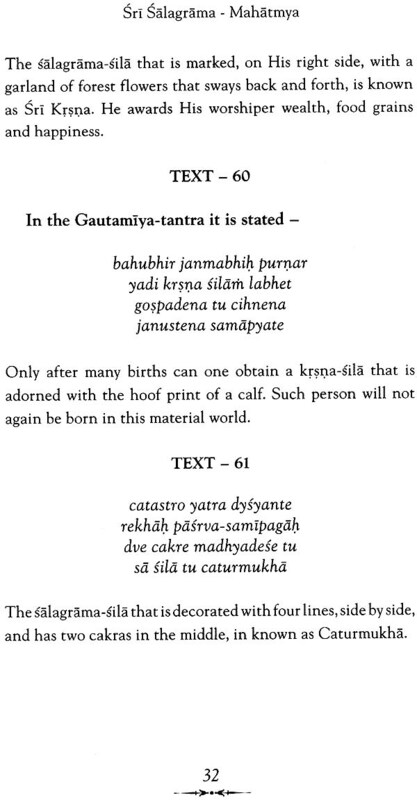 Lord Krsna is non-different from His holy name and His deity form. 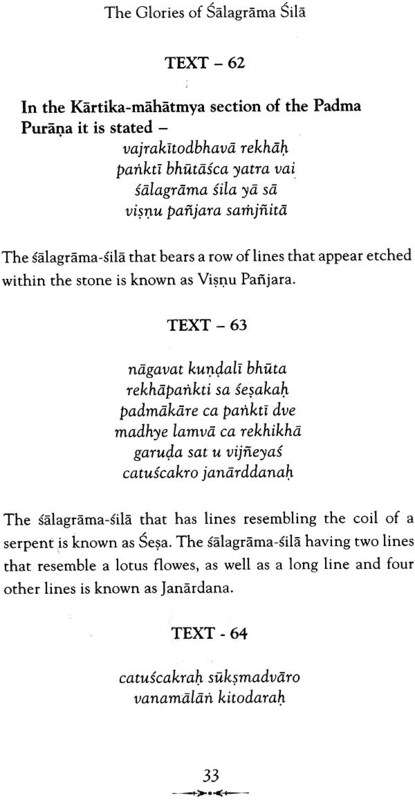 Salagrama-sila is also the form of the Supreme Lord. 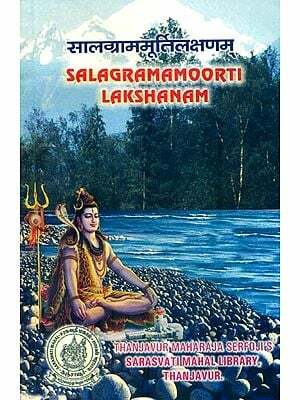 As there is a need to invoke life or the Supreme Lord within the deity form at the time of installation, there is no need to formally install salagrama-sila. 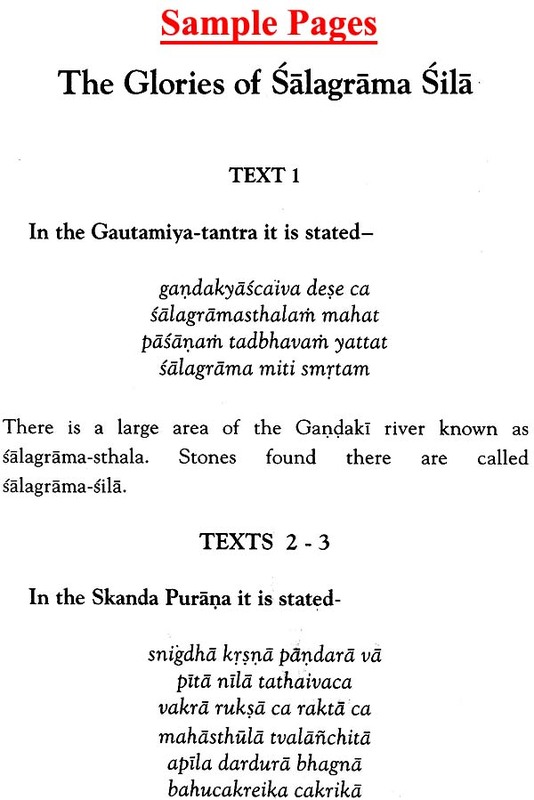 Salagrama-sila is directly the supreme personality of Godhead. Like the worship of the deity form, the worship of salagrama-sila should be performed very strictly with faith and devotion. 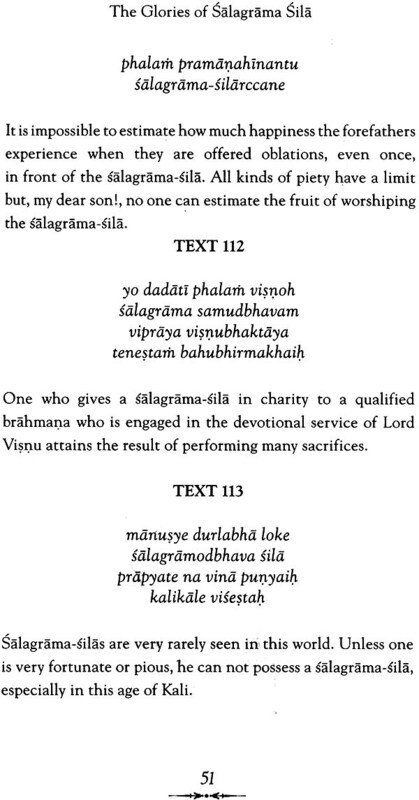 All the duly initiated vaisnava – brahmanas are qualified to worship salagrama-sila. 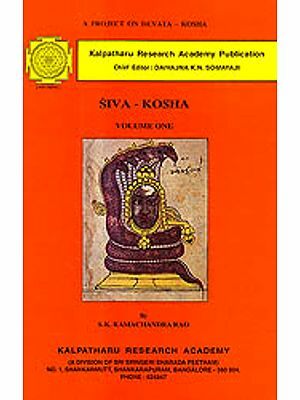 The subject matter of this book is taken from the fifth vilasa of Sri Hari Bhakti Vilasa compiled by Srila Sanatana Gosvami. 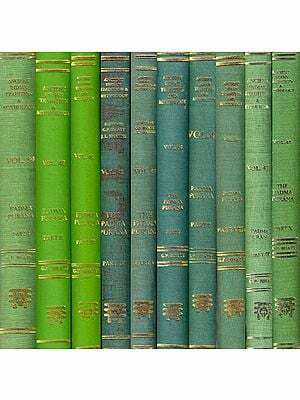 The descriptions and evidences are collected from different scriptures and put together here in this book.